Hi! It's Jilly. Oh. My. Goodness!! I have been SO MIA lately! I can't believe it's Friday already and I haven't even gotten one post up all week! Last weekend was the play, and my sister was in town visiting for the holiday. She went home Tuesday night. Then, the kids had a half day on Wednesday and Thursday because of Parent-Teacher Conferences, so I've just had zero time to blog! Aah! But, today I'm going to get some posts scheduled. I have a ton of things to post about! Be sure to "like" me on Facebook so you don't miss any upcoming posts! 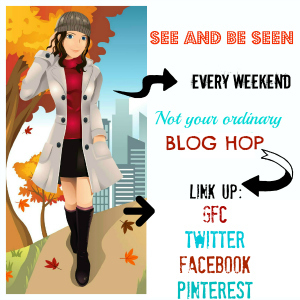 Now it's time for the Weekend Blog Walk (#WeekendBlogWalk). If you left me a comment last week and I didn't respond to it, I apologize profusely! After you link up leave a comment, and I will be sure to reply this week!! fee to Guest Host. Send an email athometake2@gmail.com to reserve your spot. This small fee allows us to advertise and promote the Weekend Blog Walk. 1) Follow your Co-Hosts (1-7 on the Linky) via GFC, Feedburner, Facebook, Twitter and/or Pinterest. Please leave a comment if you are a new follower. Also Facebook, Twitter and Pinterest. Hi, Jillian!! Wanted to give you the heads up - I accidentally entered my Facebook link under the Pinterest section. I went ahead and put my Pinterest link up anyway and put my Facebook link in the right section, but I thought you might want to take the Shona Skye Creations link out from the Pinterest. Makes sense? LOL I'm a screw up today!